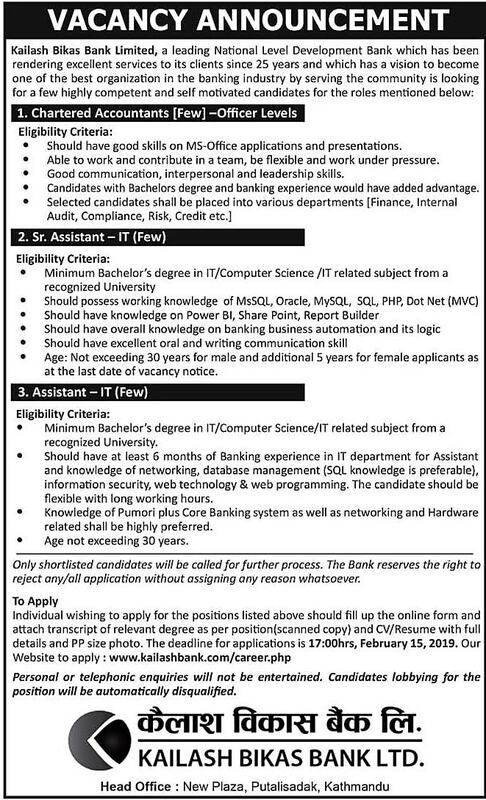 Individual wishing to apply for the positions listed above should fill up the online form and attach a transcript of relevant degree as per position (scanned copy) and CV/Resume with full details and PP size photo. The deadline for applications is 17:00hrs, February 15, 2019. Personal or telephonic inquiries will not be entertained. Candidates lobbying for the position will be automatically disqualified.